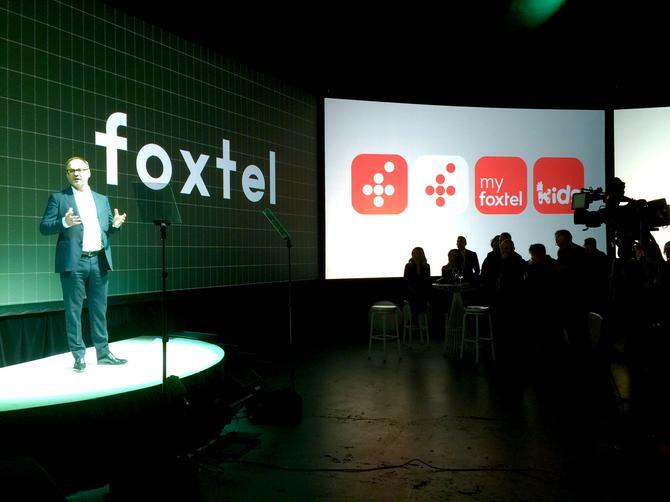 Foxtel’s new rebrand forms part of the pay TV company's move from looking ‘aggressive and shouty’ to celebrating a more approachable and digitally enabled platform ‘for everyone’. But what does it take to get a successful rebrand off the ground? CMO talks to Foxtel’s MD of customer and retail, Mark Buckman, to find out. The first think marketers and brand strategists should do when rebranding is take the time to look at the context in which you’re operating in, Buckman told CMO. “Clearly for us, the video and on-demand business and pay TV has been going through a massive amount of structural change and we had to pick a time in our own history where it was the right thing for us to do,” he said. Buckman said Foxtel’s new logo, created in collaboration with design agency Maud, was born from the cues and symbols of the entertainment industry, which he said is more modern, dynamic, flexible, progressive, simple and fun. “Some see the Southern Cross, some see the plus sign, some see that it says variety, and some see it says collections,” he said. “We think it is playful, witty surprising and very approachable. It’s not those big, bold capital Foxtel ‘shouty’ letters. “Our new colours also leverage the equity of colours like orange, which we had for so long, but we softened it with a trademarked ‘fred’ orange, and complemented by midnight blue,” he said. Consumer perception of your brand is also important, Buckman stressed, in help pivot any rebrand and aligning it with what your customers really expect and want from your brand. He noted that 22 years ago, Foxtel was the disruption to free-to-air TV in Australia, providing alternative content previously unavailable to Australian consumers. But the Internet has changed TV program consumption and access, with video on-demand triggering a renaissance in TV content and introducing millions more people to the market. For Foxtel, this presented a tremendous new opportunity, Buckman said. “People have been thinking this was the time they wanted to see something new and different from Foxtel,” he said. “When you think about Foxtel, you think about all the great content that it offers. We spend over $1.5 billion a year on content, we’ve invested hundreds and millions into our IQ technology, but the market has moved. “There's now a wider segment that video on-demand caters to, and a market that has really been created in the last two-and-a-half years. When you think about subscription video on-demand and how that has changed, we’re looking at about 2.4 million people that have come to this new market segment in the last couple of years, and we had relatively few of them. According to Buckman, the new ‘Foxtel for everyone’ brand embodies the concept that whatever your budget, and whatever your household situation, and however you consume your content, Foxtel has something for you. 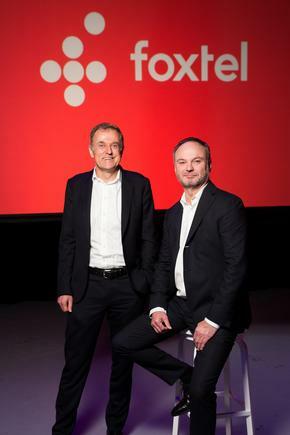 “We wanted to position the Foxtel brand as one that's for all Australians and everyone has the right to enjoy great content,” he said. For Buckman, rebranding is something that needs commitment and vision, and should never be approached frivolously. As the former CMO of banking giant Commonwealth Bank and more recently, Telstra, Buckman knows there’s a lot of careful decision-making as part of the rebrand process. “It’s a big investment to go through and it’s not something any brand should decide on lightly,” he said. In committing time and money to a rebrand, Buckman said it’s important everyone from across the organisation is on-board, aligning on strategy. “Everybody will have an opinion when it comes down to execution and creative in terms of how things should be expressed, so getting those consumer insights and customer truths absolutely nailed is paramount,” he said. “That way, you can identify what that sweet spot is. For us, it was acknowledging our belief that the best local and international content should be seen by everybody and not just a privileged few. “Once you land on what that nugget of truth is, then how you go about expressing it – like ‘our Foxtel is for everybody’ will fully exemplify those core insights." Buckman agreed that with more disruptive visual technologies such as augmented reality and virtual reality on the horizon, brands need to be agile enough to adapt to the changing needs and expectations of future customers. But ultimately, a brand is not just a logo or a wordmark, it’s every experience and every touchpoint, Buckman said. “It’s the way in which we talk to our customers in our call centres, it’s our navigation on our platform and user experience, and it’s the way our technicians install our boxes in living rooms around Australia every single day,” he added.